Formentera de Segura. Near TORREVIEJA RENTALS DIRECT. The town Originally was a Moorish village So first of all come and discover this peaceful Spanish village on the Costa Blanca. Furthermore you will that visiting the beach from the town to be only a short drive away. Apartment Calle Cohunto Pancho No ` Rojales Located in Rojales, Apartment Calle Cohunto Pancho offers an outdoor pool. 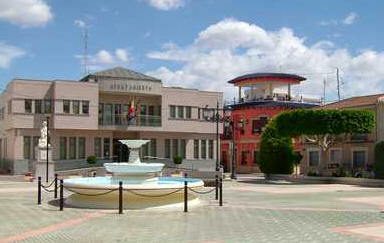 Opalo Conjunto Europa ` Rojales Benimar is a young urbanization and lies near Benijofar. 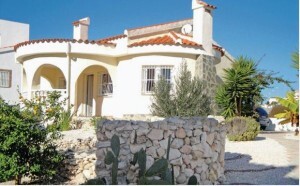 A nice spanish village and situated approximately 10 km. from the beautiful white beaches of Guardamar. Holiday home C/Mexico ` Rojales Holiday home C/Mexico is located in Rojales. The accommodation will provide you with a TV and air conditioning. 2.2 km from Formentera de Segura city center. Formentera is aprox 7 minutes from the beaches of Guardamar or 3 minutes via the fast duel carridgway. A walk around Formentera village. Formentera de Segura – Originally a Moorish village, Formentera de Segura was conquered by the Christian king Jaime I (‘The Conquistador’) in 1242, the village changed hands a number of times over the prevailing centuries until 1730 when it came under control of Nicolas Pérez de Sarrio (The Lord of Formentera), who gave the village its current name. Largely destroyed by the great earthquake of 1829, Formentera del Segura was re-built by 1840 culminating in the building of the parish church. Relying mostly on agriculture and citrus farming for its survival Formentera del Segura benefits from an irrigation system put into place by the Moors centuries ago. One of its most popular fiestas is ‘The Day of the Bicycle’ featuring a race involving many of its inhabitants. Spain Info, Formentera de Segura.